Bonifacio Global City yearly holds PASSIONFEST, a weekend packed with fun activities for everybody. This year’s edition, which will be held from November 29 to December 1, however is more special as it coincides with the 150th birth year anniversary of Andres Bonifacio. Due to this, BGC have decided to have activities with a Filipino twist to honor our hero. 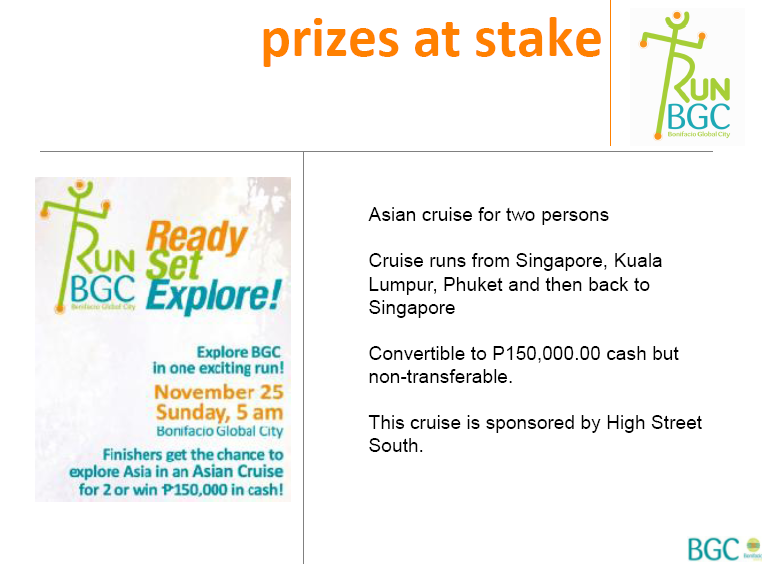 And yes, the main event to every PassionFest, the RUN BGC has been dashed with a Filipino twist too! 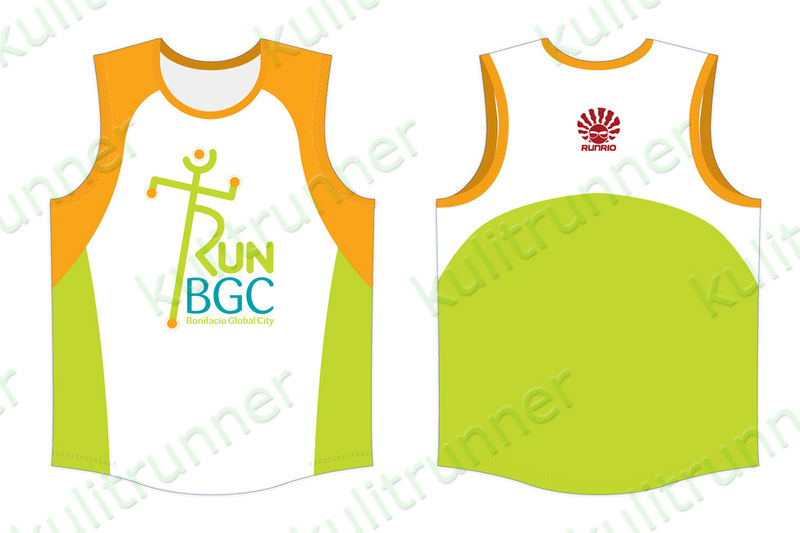 Presenting – the RUN BGC TAKBONIFACIO 2013! 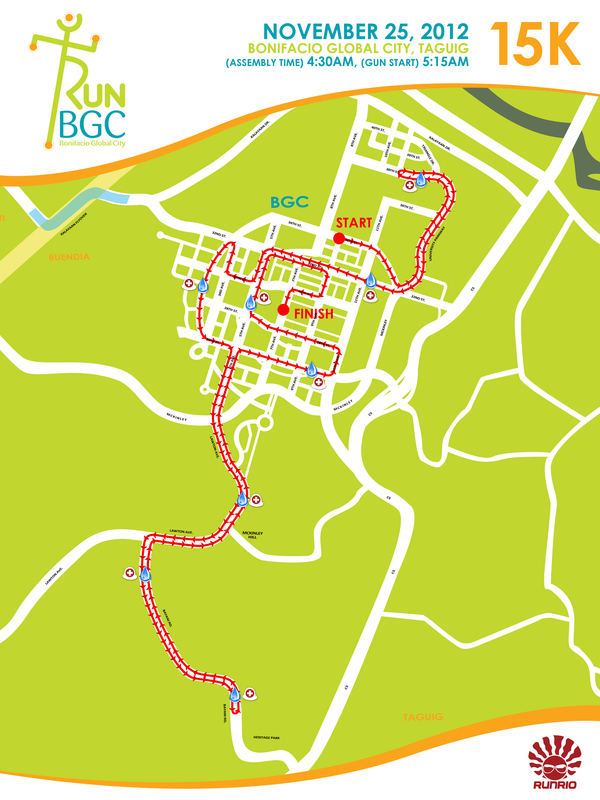 RUN BGC 2012 Race Results Out Now! 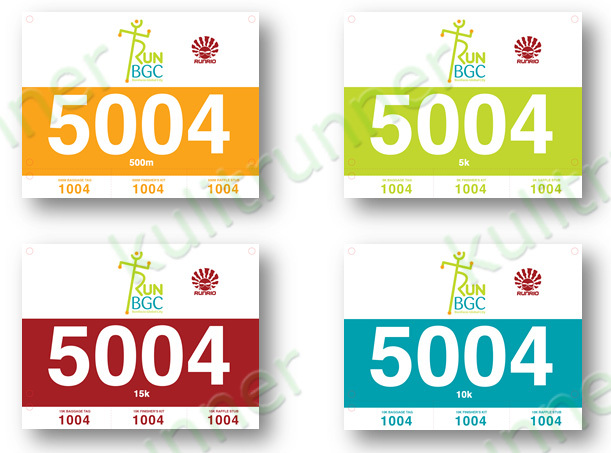 Congratulations to all those who participated in the RUN BGC 2012 organized by RunRio. 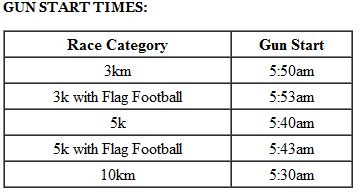 Gun Time: is time from the gun start to the time you crossed the finish line. 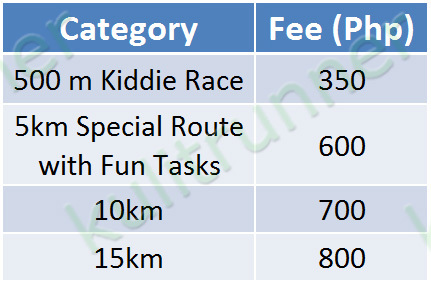 Results for this is used as basis for determining the Top 3 finishers. For any concerns regarding the race results, please email the organizers at feedback@runrio.com. Hello Run BGC participants! 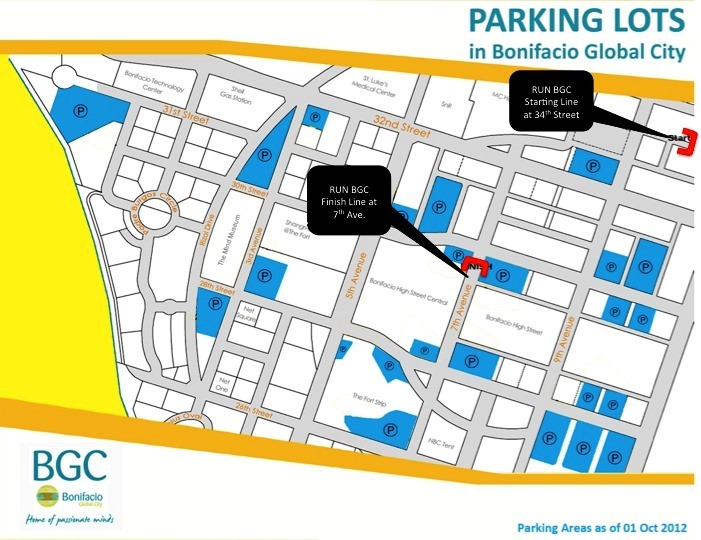 Here are the available parking facilities at the Bonifacio Global City on race day, November 25. 1. 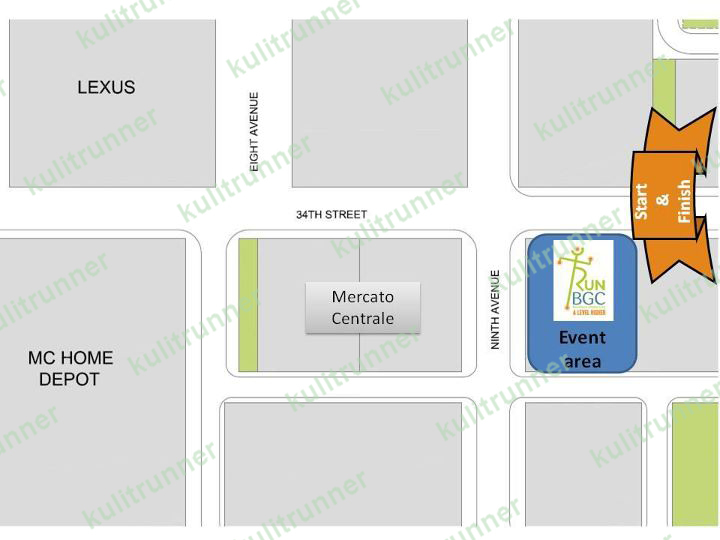 Starting Line 5k/10k/15k is at 34th street, while the 500m is at 9th ave, near 32th ave.
2. 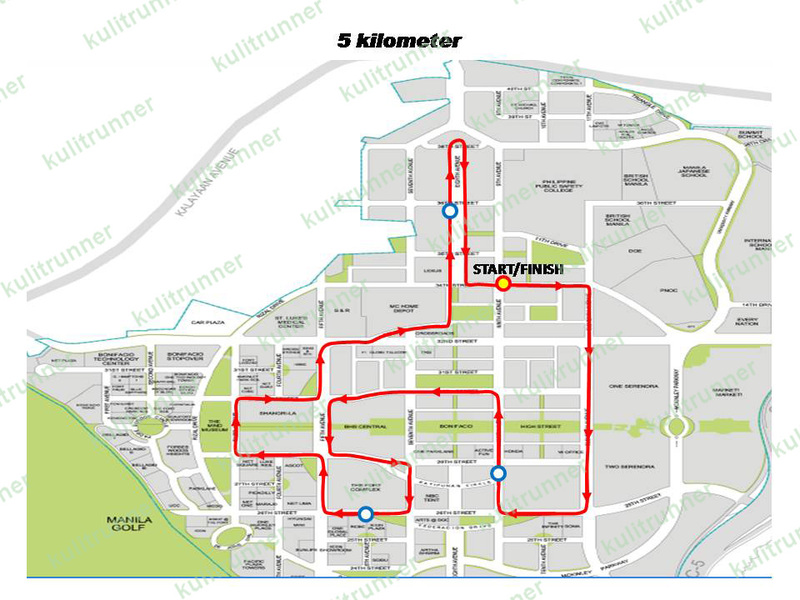 New Gun start: 15k – 5:20 / 10k – 5:30 / 5k – 5:50 / 500m – 6:45am. 3. A bus will be utilized as a baggage deposit area at the starting line. Baggage buses will then move to the finish line along 28th ave. in time for the runners who will then claim their deposited baggage after crossing the finish line. 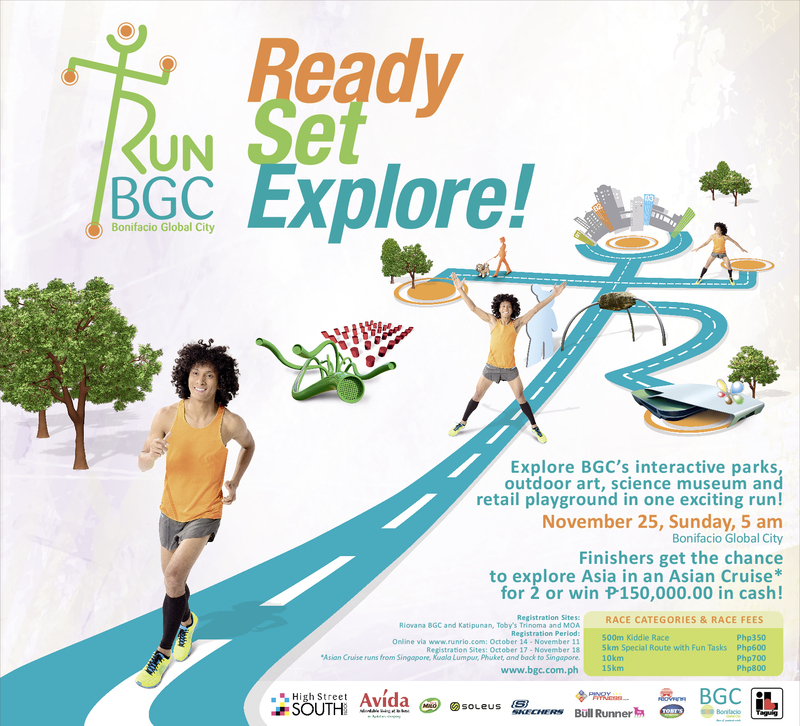 RUN BGC 2012 on November 25! 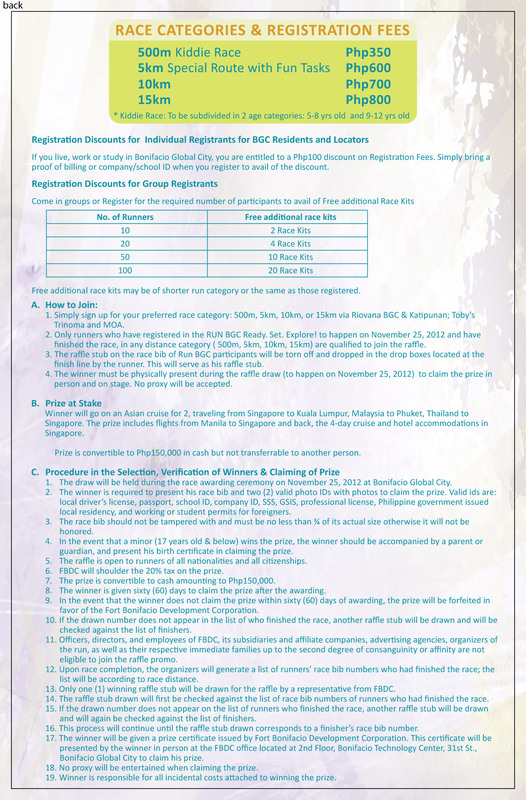 The RUN BGC annual running event that will provide a different kind of fun and challenge to its participants. With a theme of “Ready. Set. 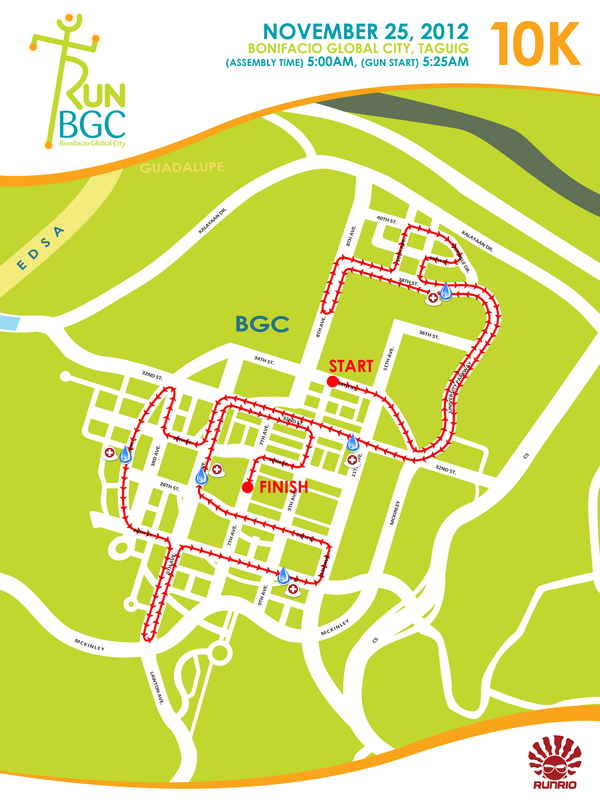 Explore!”, this race promises to get runners to explore some of BGC’s top attractions like interactive parks, playground and science museum in one exciting run. 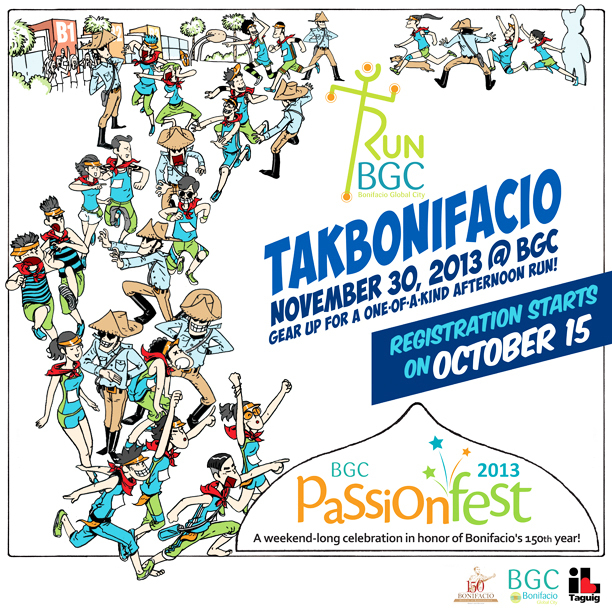 Run BGC 2012 is part of BGC’s PassionFest celebration happening from November 23 to 25. Registration is on a first come, first served basis, and may end earlier than the announced deadline. Race kits may run out before November 18, 2012. Singlet size availability will be on a first come, first served basis. 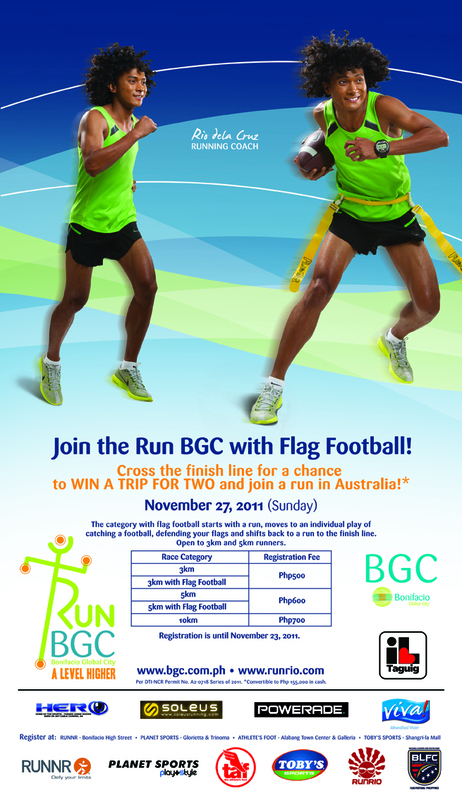 Save the Date for RUN BGC 2012! 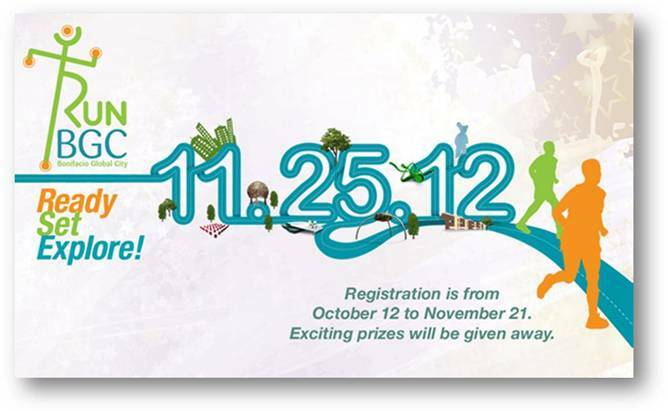 Registration opens on October 12 and will last until November 21! Hello Folks! 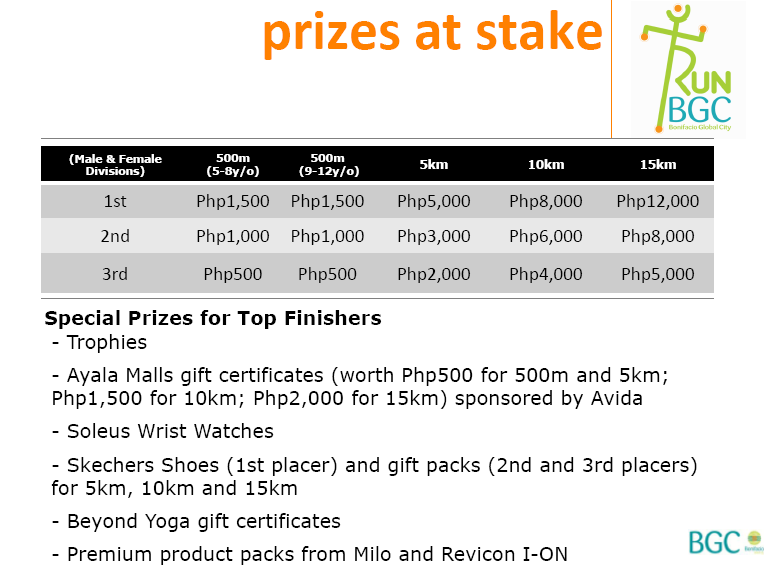 RunRio has released the OFFICIAL Race Results for the recently concluded RUN BGC race. Congratulations to everyone who participated and finished this race! 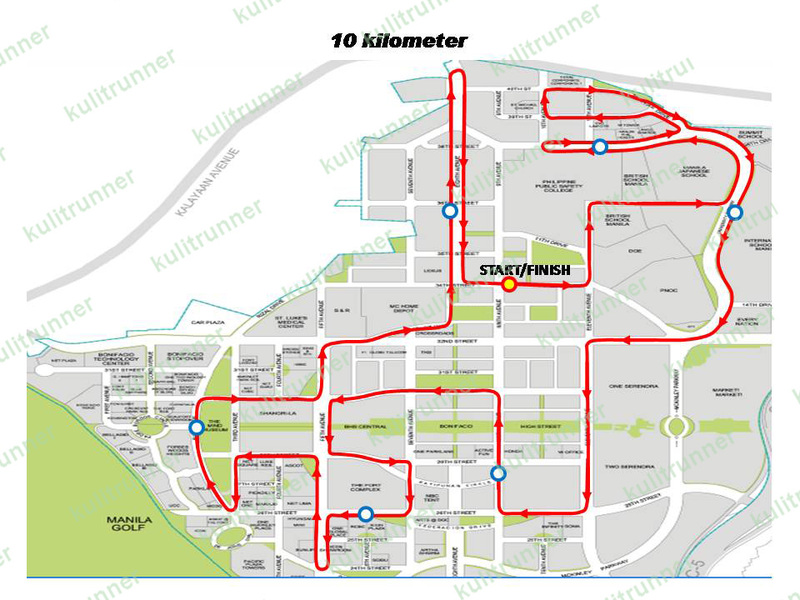 Getting ready for this unique race on Sunday? 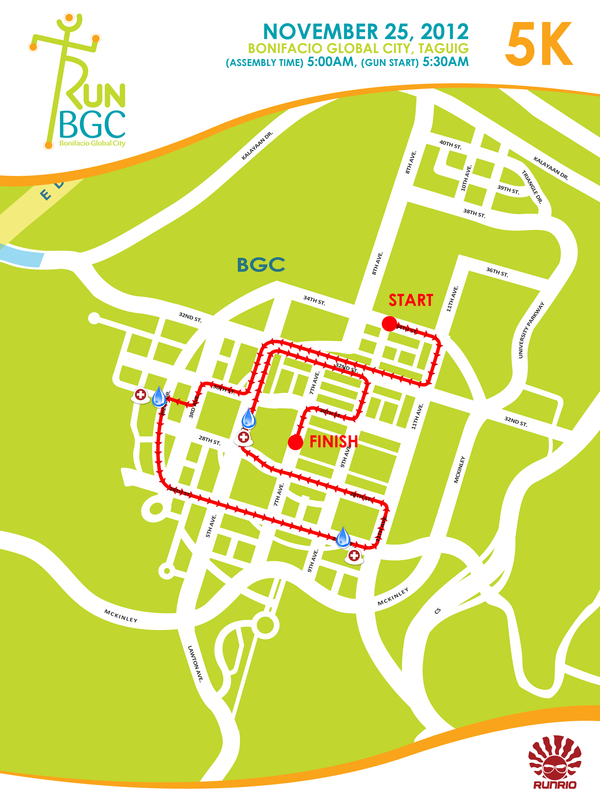 Here are the finalized event area and race category route maps for the RUN BGC 2011 race happening on Sunday, November 27 at the Bonifacio Global City. Meanwhile, if you haven’t registered yet but decided to try running with the flag football challenge on the side, you can still register as registration was extended until November 25 and an on-site registration is available on race day Sunday, November 27.